The crowded Democratic field in May's primary election for State College Borough Council just got a little smaller. Brent Rice, who filed petitions earlier this month to be on the ballot, said in a statement on Monday that after discussions with family, friends and supporters he has decided not to continue with his campaign. "I had hoped that in running my candidacy would spark meaningful dialogue about our community and the ways we can come together to build a better life for our town, ourselves and future generations of residents. In this manner, I have already been very successful," Rice said. 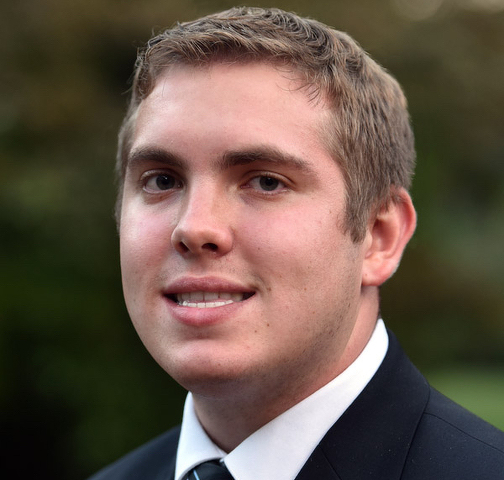 A recent Penn State graduate and current university employee, Rice said he plans to remain an engaged member of the community and that he is also confident in the visions of newcomers to the borough's political scene. "Local politics are important, and I am relieved to know there is a heavy field of candidates who offer a bright and different perspective of what this town can become," he said. Four of borough council's seven seats are up for election this year, with three Democratic incumbents — Jesse Barlow, David Brown and Janet Engeman — seeking re-election. The fourth seat is currently held by Democrat Cathy Dauler, who has reached the term limit and cannot run for re-election. Also on the Democratic primary ballot are former borough manager Peter Marshall, Penn State sophomore and University Park Undergraduate Association liaison to borough council Tom Dougherty, Penn State College of Agricultural Sciences assistant dean Deanna Behring, and Penn State student Jackson Fitzgerald. Just one candidate will appear on the Republican primary ballot: former state representative Lynn Herman. Borough council members are elected to four-year terms. Candidates have until Wednesday to withdraw from the ballot. The primary election takes place on May 21. Nearly 150 candidates have filed petitions to run for county, municipal and school board positions throughout Centre County. 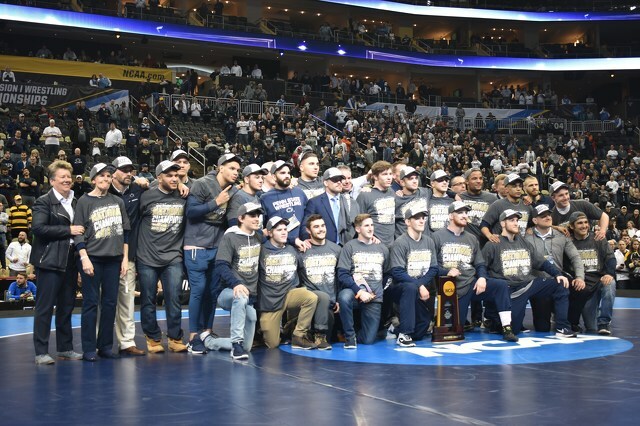 When Will the Penn State Wrestling Dynasty End? Penn State wrestling coach Cael Sanderson found himself in a familiar place Saturday night. For the eighth time in the last nine years, he wore a championship t-shirt and hat while posing with his team for pictures in an empty arena that had quickly cleared out after a full weekend of wrestling resulted in him hoisting a trophy.